Kappler® Zytron® 500 Totally Encapsulating Level A Rear Entry Expanded Back Suit with 2n1™ Glove System - Faceshield 40 Mil. PVC and 5 Mil. Teflon Over-lay on Lens - CE Certified Type 1aET.Kappler® Zytron® 500 Totally Encapsulating Level A Rear Entry Expanded Back Suit with 2n1™ Glove System - Faceshield 40 Mil. PVC and 5 Mil. Teflon Over-lay on Lens - CE Certified Type 1aET. 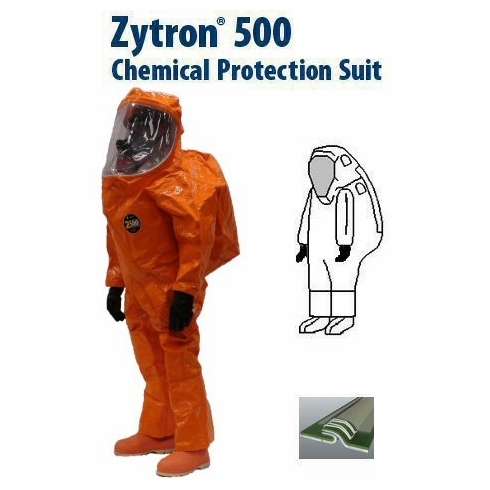 Home | Personal Protective Apparel / Workwear | Kappler Chemical Protective Apparel | Kappler Zytron Encapsulated Suit | Kappler® Zytron 500 | Kappler® Zytron® 500 Totally Encapsulating Level A Rear Entry Expanded Back Suit with 2n1™ Glove System - Faceshield 40 Mil. PVC and 5 Mil. Teflon Over-lay on Lens - CE Certified Type 1aET. Kappler® Zytron® 500 Totally Encapsulating Level A Rear Entry Expanded Back Suit with 2n1™ Glove System - Faceshield 40 Mil. PVC and 5 Mil. Teflon Over-lay on Lens - CE Certified Type 1aET.